Congress has officially passed the GOP tax bill backed by Pres. Donald Trump, after a procedural error forced the House of Representatives to take a revote early Wednesday to fix differences from the bill approved the 51-48 Tuesday by the Senate. As expected, the vote ran mostly along party lines, with 224 votes – all Republicans – cast in favor, and 201 votes, including 12 from Republicans, opposing the measure. Following the vote, Republicans cheered passage of what is the largest tax cut in decades. The president is expected to sign the legislation into law this week, possibly as early as today. The bill is the first major tax cut since 1986 and the president’s first major legislative victory since taking office 11months ago. On Tuesday, the House of Representatives voted to approve the GOP backed bill, but some parts of the bill conflicted with some of the Senate’s procedural rules had to be corrected before it could be sent to the president. “[On Wednesday], Congress passed a tax reform bill that happens once in a generation. This is the end of a long journey to offer a great tax relief to the American people,” said House Speaker Paul Ryan after the vote was done. “Now, this historic legislation will be sent to the President’s desk so we can start 2018 with a new tax code,” added Ryan, who has been fighting for a tax reform, such as the one approved on Wednesday, since the beginning of his legislative career. The bill is fundamentally aimed at cutting taxes on high income earners and corporations, which will see their tax contributions significantly reduced from 35 percent to 21 percent, while generating seven personal income tax brackets. In addition, according to the calculation of the Congressional Budget Office (CBO), the tax reform promoted by Republicans will add $1.5 trillion to the national deficit in its first 10 years. Reducing the deficit has long been a rallying cry among conservative Republicans, many of whom nonetheless voted in favor of the Republican led tax reform plan saying the cuts would fire up corporate investment and hiring, which would in turn lead to substantial growth in the economy and ultimately help reduce the budget deficit. Among the most controversial aspects, beyond the tax reduction to higher income earners, the legislation also repeals a portion of the Affordable Care Act, or Obamacare, which requires every individual to have health insurance, or to pay a tax penalty. Corporate giant Comcast announced Wednesday that it will give $1,000 bonuses to over 100,000 of its employees as a result of the passage of tax-cut legislation in Congress, and the FCC’s repeal of net neutrality rules. Comcast plans to invest $50 billion over the next five years in infrastructure towards its “broadband plant and capacity, and our television, film and theme park offerings,” House Speaker Ryan said in press release. Ryan said Comcast expects to bring on thousands of new employees because of the investments. Comcast’s announcement comes following AT&T saying it would offer $1,000 holiday bonuses to roughly 200,000 of its employees, a direct result of added profits the company expects to achieve under Congress’ tax reform legislation. AT&T’s announcement comes as the company courts support from the Administration for its merger with Time-Warner. President Trump mentioned AT&T’s news Wednesday at the White House as he celebrated passage of the tax bill with congressional Republicans. “There’s a reason this bill has been called the #GOPTaxScam on social media. It pretends to be a tax cut, but most working families will eventually see their taxes go up. Worse, it selectively targets Americans of color, who already sit on the losing end of a racial wealth gap that this bill will make worse,” Aguilar said in statement released Wednesday. 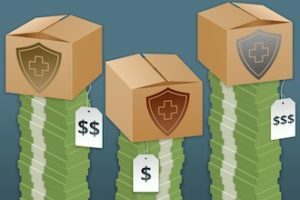 According to Greenlining, African-Americans, Asian-Americans and Latinos, who have for decades lacked health insurance at higher rates than their white counterparts, will see gains made under Obamacare destroyed as “cuts are made to Medicare, Medicaid and other programs essential to working Americans. After nearly two months of negotiations, key senators said Tuesday they have reached a bipartisan deal on a proposal intended to stabilize the Affordable Care Act’s insurance market, which has been rocked by recent actions by President Donald Trump. Sens. Lamar Alexander (R-Tenn.) and Patty Murray (D-Wash.), respectively the chairman and the top Democrat of the Senate Health, Education, Labor and Pensions Committee, negotiated the emerging deal. The milestone agreement, they said, would guarantee payment of “cost-sharing reduction” subsidies that help some policyholders with low incomes afford their deductibles and other out-of-pocket costs for two years, 2018 and 2019. Trump announced last week that he would stop funding the subsidies, which have been the subject of a long-running lawsuit. These subsidies are separate from the tax credit subsidies that help eligible consumers pay for their premiums. Those premium subsidies are not affected by Trump’s action. Even if it fails to become law, the deal marks a singular achievement that has been almost completely missing in Congress for the past eight years — a bipartisan compromise on how to make the nation’s health insurance system work. “This is an agreement I am proud to support,” said Murray on the Senate floor, “because of the message it sends about how to get things done. The proposal — which will require 60 votes to pass the Senate and agreement from a still-dubious House of Representatives — would also restore $110 million in “outreach” funding cut by the Trump administration. 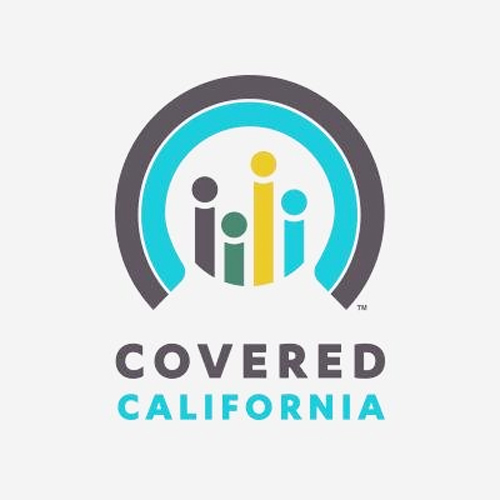 That funding would help guide eligible individuals to sign up for coverage on the health insurance exchanges during the open enrollment period that runs from Nov. 1 to Dec. 15. In exchange for those provisions, urged by Democrats and state officials, Republicans will win some changes to make it easier for states to apply for “waivers” that would let them experiment with alternative ways to provide and subsidize health insurance. The deal would also allow the sale of less comprehensive “catastrophic” plans in the health exchanges. Such plans currently can be sold only to those under age 30. Senate Majority Leader Mitch McConnell (R-Ky.) reserved judgment about the deal. Sens. 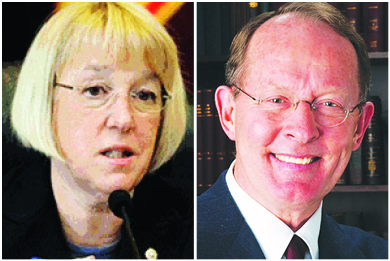 Patty Murray, (D-Wash.) and Lamar Alexander (R-Tenn.) brokered a bipartisan healthcare fix, but getting it through Congress could prove difficult. More than 60 senators have already participated in the meetings that led to the deal, Alexander said on the Senate floor. But the path to passage in the House is uncertain — with many conservatives vehemently opposed to anything that could be construed as helping the law they call “Obamacare” succeed. Both Murray and Alexander said Tuesday they were still struggling over language to make sure that if the cost-sharing payments are resumed, insurers would not receive a windfall by keeping both those payments and the higher premiums that many states are allowing in anticipation of the payments being ended. “We want to make sure that the cost-sharing payments go to the benefit of consumers, not the insurance companies,” Alexander said. Trump, who as recently as Monday called the cost-sharing subsidies “a payoff” to insurance companies, took credit for the negotiations. “If I didn’t cut the CSR’s, they wouldn’t be meeting,” he said. That was not, in fact, the case. The negotiations had picked up some weeks ago after being called off earlier in September while the Senate tried for one last-ditch repeal vote. But on Tuesday the president hailed the deal. “We think it’s going to not only save money, but give people much better health care with a very, very much smaller premium spike,” he told reporters. This story was produced by Kaiser Health News, an editorially independent service of the California Health Care Foundation. President Obama signed an executive order in 2012 protecting undocumented immigrants who were brought to the United States as children, and studies suggest that this order, known as Deferred Action for Childhood Arrivals (DACA), markedly improved measures of mental health among its beneficiaries and their families. The pending termination of DACA may reverse these mental health benefits for the 800,000 DACA beneficiaries, and trigger a public health crisis, according to an essay in the New England Journal of Medicine, co-authored by Atheendar. S. Venkataramani, MD, PhD, an assistant professor of medical ethics and health policy at Perelman School of Medicine at the University of Pennsylvania. DACA is meant to cover undocumented immigrants who were born after June 15, 1981, were brought to the U.S. before turning 16, and have lived in the U.S. continuously since 2007. It provides legal access to work permits, which can be renewed every two years, and confers freedom from deportation. Eligible applicants must provide evidence of current school attendance, completion of high school or GED certification, or U.S. military service, and must not have serious criminal records. Several recent studies, including one by Venkataramani and essay co-author Alexander Tsai, MD, PhD, an assistant professor of Psychiatry at Massachusetts General Hospital, have indicated that measures of psychological stress and mental illness among DACA-eligible immigrants fell dramatically after the policy began. Another study, which used data from the Emergency Medicaid program in Oregon, suggested that DACA’s mental health benefits may have extended even to the children of DACA-eligible mothers—among whom rates of adjustment and anxiety disorders fell by more than half after DACA started. Given that DACA improved mental health for beneficiaries and their families, its termination is expected to have the opposite effect. That termination will occur in March 2018 if no DACA-preserving legislation is passed by Congress and signed into law by the President. “Health care and public health professionals now have a limited window of opportunity to engage policymakers about protecting Dreamers through legislative action, with an emphasis on the potentially dire mental health consequences of failing to enact a definitive legal remedy,” Venkataramani said. If such efforts fail and DACA does expire next year, the health care profession will face a serious challenge, he added. Many former DACA beneficiaries, in the absence of the law’s protections, will not only experience adverse effects on mental health and psychological well being, but will also be less likely—because of their status as deportable illegals—to seek help from health care professionals. Venkataramani and Tsai argue that if DACA expires, health care and public health organizations will need to proactively reach out to undocumented immigrants, to reassure them of continued access to quality health care and to provide them with information about public mental health care resources. “On a broader systems level, tracking health care utilization and health outcomes will help organizations monitor health at the population level and provide hard data to policymakers seeking to implement other supportive remedies,” they note. 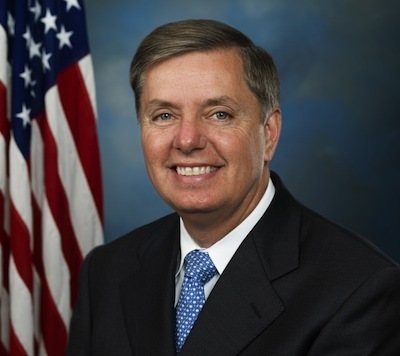 WASHINGTON – Los senadores republicanos Lindsay Graham y Bill Cassidy han reabierto el debate sobre el sistema sanitario en el Congreso del país, al volver a poner sobre la mesa su propuesta legislativa mediante la que los estados podría elegir acogerse o no a ciertas directrices de Obamacare. Obamacare, como se conoce a la actual ley sanitaria porque fue impulsada por el expresidente Barack Obama, ha sido objetivo de los conservadores y del presidente Donald Trump, quienes han pretendido derogarla en diversas ocasiones, aunque sin éxito, ya que no han podido ponerse de acuerdo sobre cómo sustituir sus mandatos. Tras un estrepitoso fracaso este verano en el Capitolio, cuando el magnate insistió a sus colegas para aprobar cualquier tipo de derogación y así poder cumplir su promesa electoral, la opción de Graham y Cassidy ha reabierto el debate sobre el asunto. La propuesta de ambos senadores plantea la posibilidad de dejar el destino de los seguros médicos y sus subsidios en manos de los estados, algo que apela a la libertad de gobierno defendida por el conservadurismo estadounidense. El proyecto derogaría partes clave de Obamacare, incluyendo el mandato individual por el que los ciudadanos son multados si no obtienen seguro; los subsidios a las aseguradoras y los fondos para la expansión de Medicaid – acceso sanitario para las personas con bajos recursos –, con subvenciones en bloque que serían entregadas a los estados. Sin embargo, los demócratas, encabezados por los líderes de las minorías en el Senado y la Cámara de Representantes, Chuck Schumer y Nancy Pelosi respectivamente, han advertido de las consecuencias del texto legislativo y han llamado a la Oficina no partidista del Congreso (CBO, en inglés) a que evalúe su posible impacto. “Un análisis integral de la CBO es esencial antes de que los republicanos impongan una votación precipitada y peligrosa sobre una ley de abrogación extrema y destructiva”, escribieron los líderes demócratas en una carta enviada a la Oficina y divulgada el lunes. Las propuestas anteriores que plantearon los conservadores hubieran supuesto entre 22 y 32 millones de personas sin seguro médico en los próximos diez años. Los republicanos están tratando de averiguar si tienen suficiente apoyo para aprobar la ley antes del 30 de septiembre, el plazo para usar un proceso vinculado a los presupuestos y conocido como reconciliación, que impediría que los demócratas bloqueen el proyecto legislativo.